Meetings are generally held the 3rd Tuesday of each month. 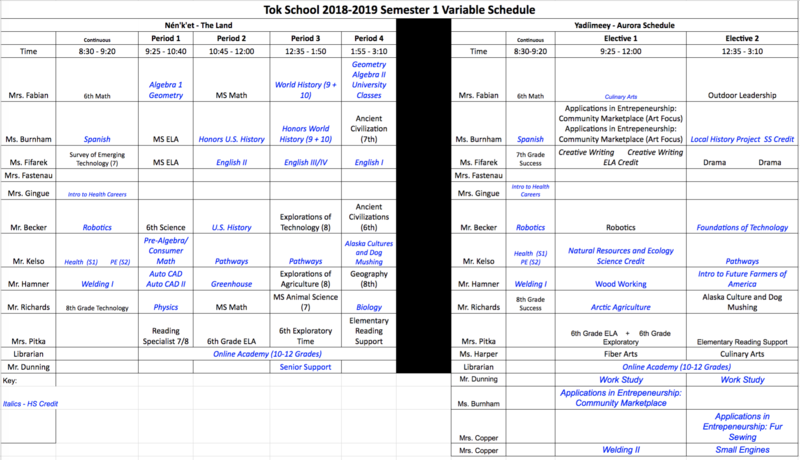 Tok and the surrounding area served by Tok School is home to approximately 1,200 people. The community lies at the junction of highway 1 and 2 making it the first stop for tourists entering Alaska via highway. It is 205 miles southeast of Fairbanks and 328 miles northeast of Anchorage. As expected from its location, the primary business of the community centers on the tourist trade lasting from early May to late September. It is also home of several small federal and state agencies, primarily associated with the environment and conservation. The school itself is housed in a single building serving approximately 200 students in grades K-12. 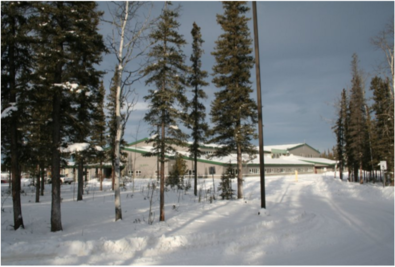 Most of the students are from Tok except for a small number of high school students who are bused in from Tanacross, a native village 12 miles from Tok. School facilities also include an eight lane paved track, a football field, two softball diamonds, a playground, and an enclosed hockey rink. The new school and accompanying facilities were first occupied in 1994 and serve as a center for many community activities. Families, educators, and community will work together as partners to develop in the students of Tok School healthy self-concepts, responsible citizens, and life-long learners. Increase levels of student performance. Increase parental involvement in education. Increase communication between school, Advisory School Board, community, parents and students. Strive always to improve and enhance the skills and abilities of school staff. Base all programs on student needs, including emotional, nutritional, cultural, academic, artistic and physical. Encourage each student to reach his or her highest potential. Strive to create a positive, healthy, and attractive school climate throughout the K-12 setting, with the intention of encouraging school attendance. With public education, the doors of opportunity are open for all of Alaska's children. Let's work together to achieve excellence in education. Our children deserve the best. Prepare students for the jobs of tomorrow. If you wish to obtain a transcript or a copy of a diploma, please email Diana Ervin, Tok School Secretary. If you have questions or comments about this page or would like to submit information, announcements or photos to be posted, please email Scott Holmes, Principal.